A Synthetic quarts crystal that is lab grown. 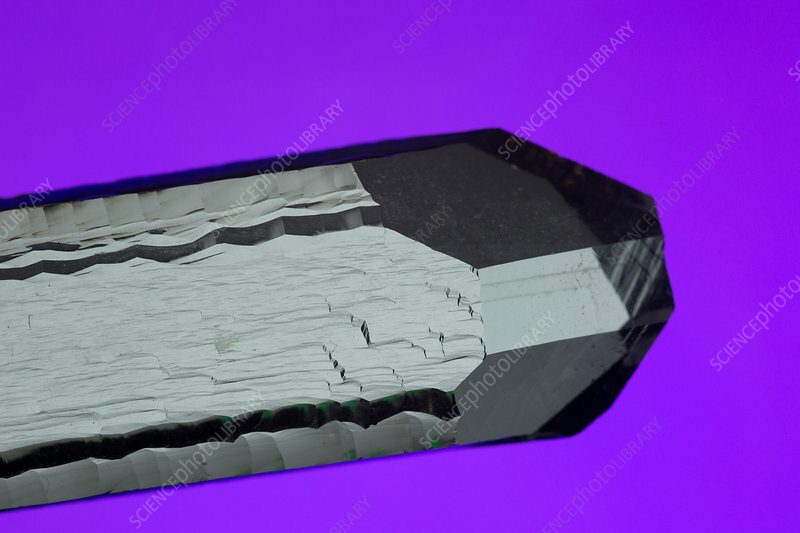 This crystal will be cut into sections that will be manufactured into optical components and electrical quartz crystal oscillators. Quartz creates an electrical signal with a very precise frequency that is used to provide a stable clock signal to the rest of the circuit.